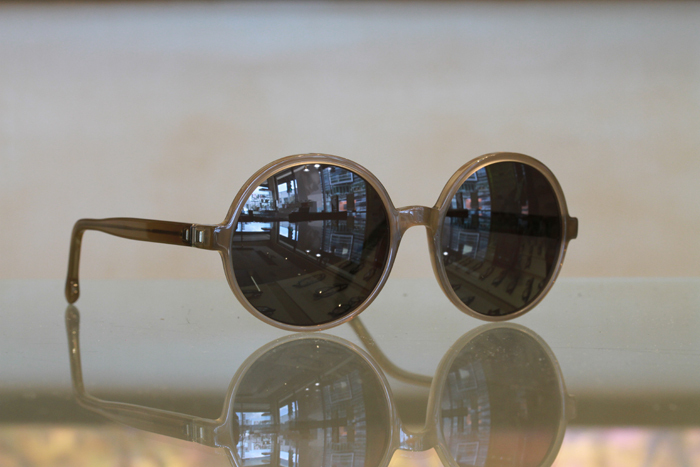 MYKITA has been supplying handmade eyewear since 2003. The modern manufactory combines precise craftsmanship with high-end technologies and the power of a self-contained network. 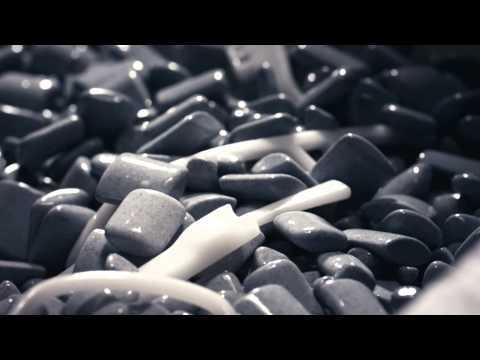 A constant search for intelligent technical solutions, the creative use of materials and a wealth of experience in eyewear design are the defining elements behind MYKITA’s collections. A key factor in the company’s success is its holistic business philosophy, which unites all departments and the in-house workshop under a single roof: The MYKITA HAUS – located in the heart of Berlin. 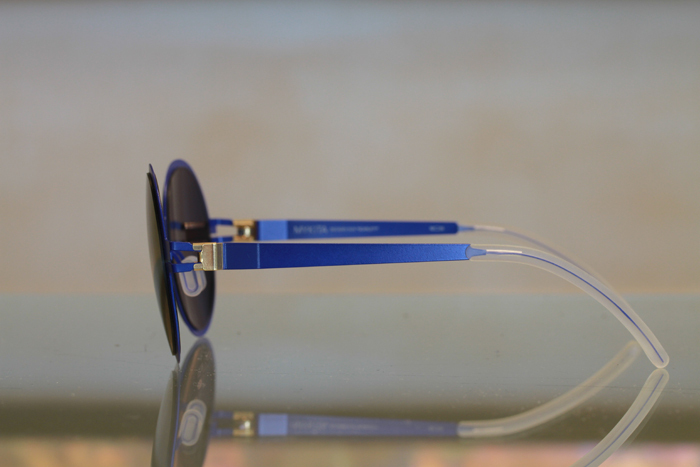 Round eyewear has been all the rage these days, and no one is doing it better than Mykita. 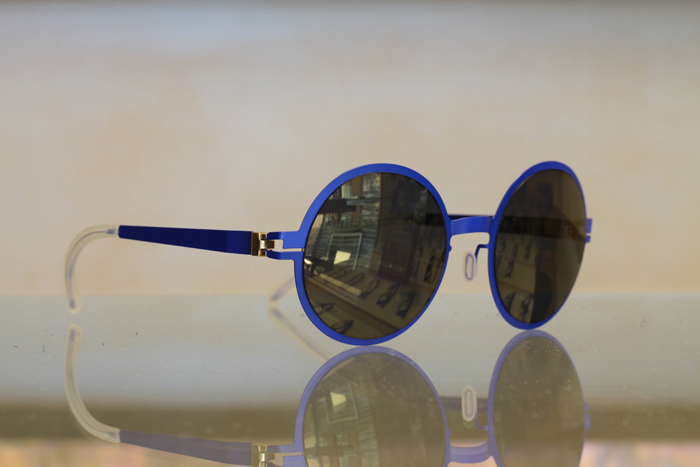 These round sunglasses seem to jump right off the shelf, due in no small part to their brilliant purple blue color. 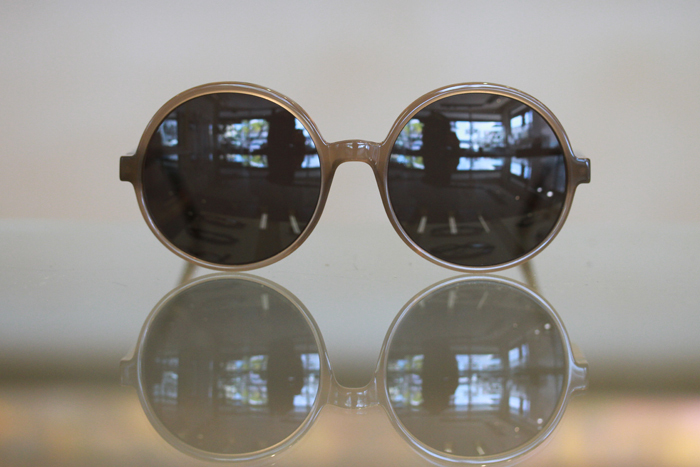 If you prefer something a bit softer, Mykita has designed another pair of round sunglasses in plastic, pictured here in a creamy caramel. 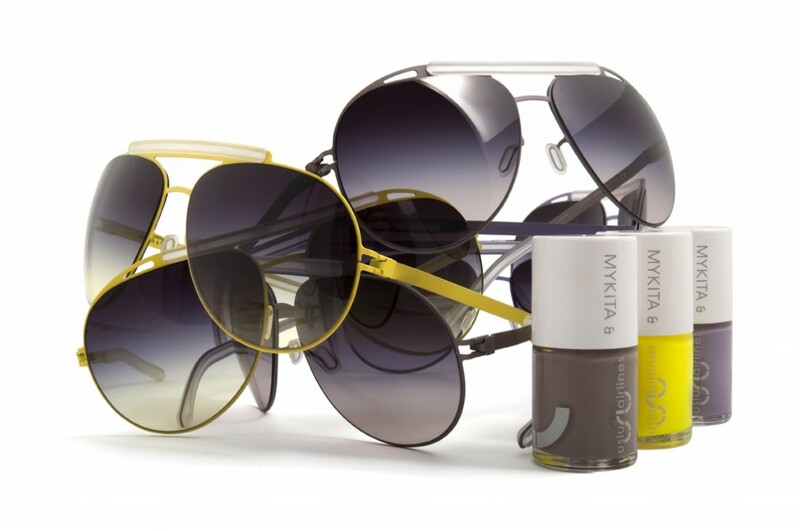 Matching sunglasses and nail polish….why has no one come out with this sooner? 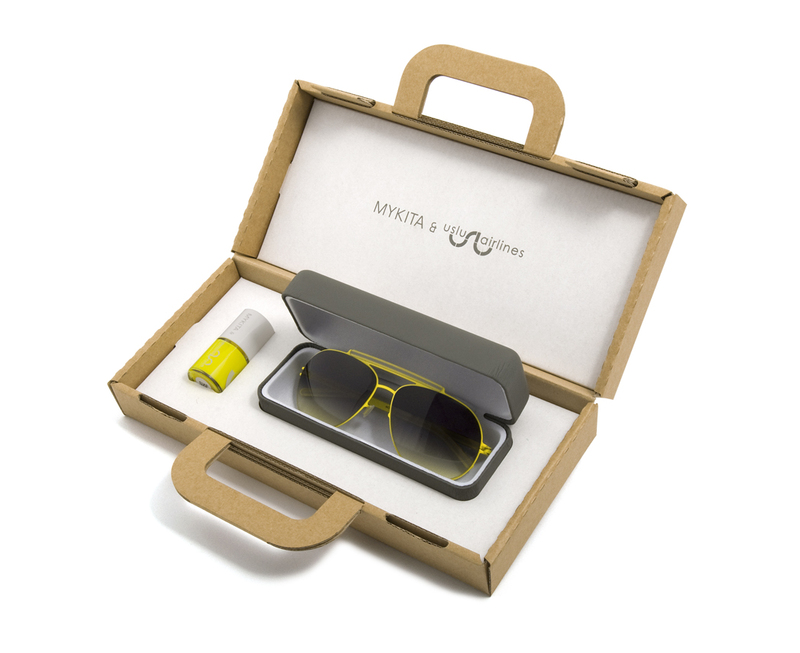 Leave it up to Mykita to team up with Uslu Airlines (the cosmetics company, not an actual airlines) for this brilliant collaboration they’re calling: Jet Set. The two aviator styles BOB and EVE, named after both airports and people, come in 3 colors not available in any other Mykita frame: grey-brown, lilac and neon yellow. (In case you were wondering, BOB is code for Bora Bora Motu Mute in French Polynesia, and EVE refers to Evenes airport in Norway. Of course.) Even the lenses fade from black to the color of the frame/nail polish. We love the adorable suitcase packaging that they come in. These releases are extremely limited and we are excited to be one of the hand-selected purveyors to get them. Not to worry ladies (and gentlemen), when you run of nail polish, you can buy it separately as well. 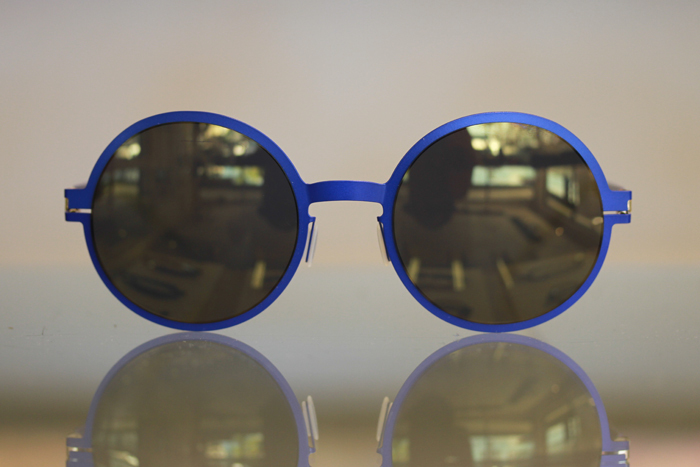 The happy couple is currently en route from the Mykita haus in Berlin to our shop in Beverly Hills. At customs there will definitely be something to declare: hot.